SpringLOCK© – Anti-Theft for Wood Frames. 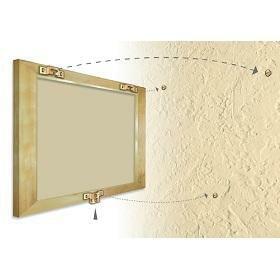 Locks onto almost any screw in a wall. This is the original patented security kit used throughout the world in hotels, pubs, schools and practically anywhere where frame security is required. Two hanging plates, One bridge, One lock, Six screws, One release key. 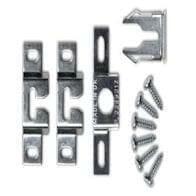 Springlock cannot be used on Aluminium Frames or any frame with a width of 20mm or less. Full fitting instructions are available in our ‘ How to guide ‘ / How to fit – Springlock security fittings.